I want AUTO POWER LOCK ACTUATORS for my brand new 2008 Prius--just like I had on my other Toyotas. 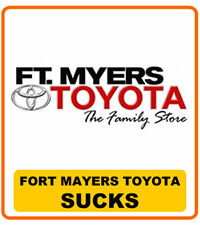 Even researched & found how to do it for myself, but Toyota says it will void my Warranty. Sounds like a Catch 22 to me. They won't do it and they won't let ME do it for myself. AUTO POWER LOCK ACTUATORS should be standard SAFETY features on all TOYOTAS. Toyota Response: "We can't fix this." paraphrase of Eloise Spoke by phone 1/23/08 Originally said it COULD be fixed (I WAS ELATED) pg 488 of Owner's Manual. Then called back to say it was a misprint. Additional Comments: For $65 (+ installation) I can fix my own car. I shouldn't HAVE to fix a brand new car, but I can see Toyota doesn't care about my (or my passengers') safety.